The title section of Kim Hyesoon's powerful new book, Autobiography of Death, consists of forty-nine poems, each poem representing a single day during which the spirit roams after death before it enters the cycle of reincarnation. The poems not only give voice to those who met unjust deaths during Korea's violent contemporary history, but also unveil what Kim calls "the structure of death, that we remain living in." 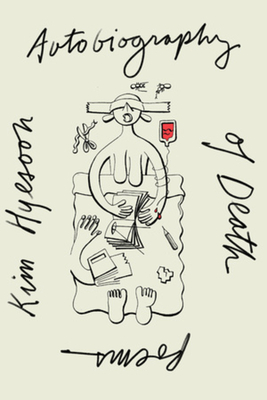 Autobiography of Death, Kim's most compelling work to date, at once reenacts trauma and narrates our historical death--how we have died and how we survive within this cyclical structure. In this sea of mirrors, the plural "you" speaks as a body of multitudes that has been beaten, bombed, and buried many times over by history. The volume concludes on the other side of the mirror with "Face of Rhythm," a poem about individual pain, illness, and meditation.